E-book exclusives stories: "Fifteen Painted Cards from a Vampire Tarot"; "Eaten"; "Apple." In Neil Gaiman's richly imagined fiction, anything is possible. And the proof is in the telling in this extraordinary collection of short stories. Discover within these pages miraculous inventions and curious characters: an elderly widow who finds the Holy Grail tucked beneath an old fur coat in a thrift store; a terrified boy who barters for his life with a mean-spirited troll living beneath a bridge by the railroad tracks; a young couple who receives a wedding gift that gradually reveals a chilling alternative history of their marriage. 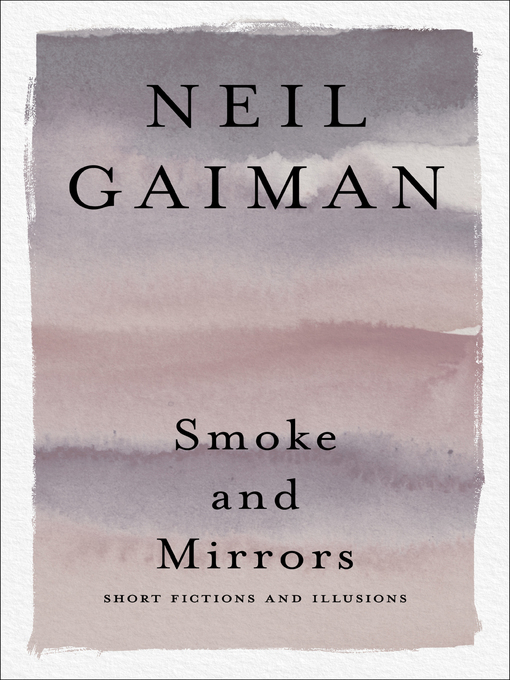 Smoke and Mirrors will dazzle your senses, touch your heart -- and haunt your dreams.